The Boxer is a very popular medium sized dog. family pet for all types of households. The Boxer is a very popular medium sized dog. Their loyal and loving nature make them a great family pet for all types of households. They simply adore playing and thrive in busy environments. Originated from Germany, the Boxer belongs to the Working Dog group. Being a very smart energetic dog, training is a must. Your Boxer will thrive in training and it is advised to start at a young age to ensure you are able to adequately exercise your young dog as they grow. As a medium sized dog, it is important to teach him/her all the doggy manners that will grow them into a well-adjusted and happy dog. Boxers are easy to train and keen to work and learn besides their loyal owners. Consistent, early training is a must with this eager to please breed. The Boxer is one easy to maintain pup, grooming wise. 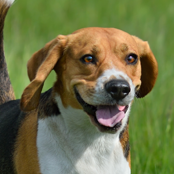 With a nice short coat, they do benefit from a weekly rub down with a rubber glove to remove any dead hairs. Due to their short coat’s they shed very little hair. 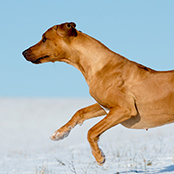 However, young dogs and older Boxers will feel the cold during the Winter months. Nail clipping is a must, as with all breeds. Having your young pup used to having a monthly clip will ensure good nail and foot health in your dog. Ask your veterinarian on how to correctly clip your pup’s nails during a vaccination or next check-up. The boxer is a high energy dog and will require daily exercise. Training is also paramount. They will thrive from high intensity activity, such as a run or brisk walk, followed by an off-leash romp at the park. Boxers also perform well in a range of dog sports. Boxers are very intelligent breed. Because of this they will need to be kept well trained and adequately exercised. A bored Boxer will find entertainment in other activities such as digging, barking or becoming destructive if not correctly entertained. Boxers are a much-loved addition to any family. They are great with children and their playful nature makes them a wonderful companion for any age group. However, training is a must, as too exercise to ensure your pup grows into a well-rounded dog. They are very affectionate with those they love. Unless they are roping around, constantly playing and heading off on an outdoor adventure, due to their short coats, Boxers typically love to be in the house lazing in the sun or sprawled out across the tiles in the heat of summer. 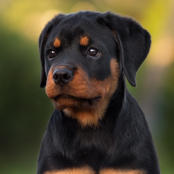 They will feel the cold more than heavy coated breeds, particularly at night and on a cold winter day. If you choose to keep your dog outside for the majority of the day consider a warm kennel area for the cooler months. Boxers, being a short-nosed breed, will also struggle in the heat. Understanding this and adjusting their environment to suit is vitally important with this breed.